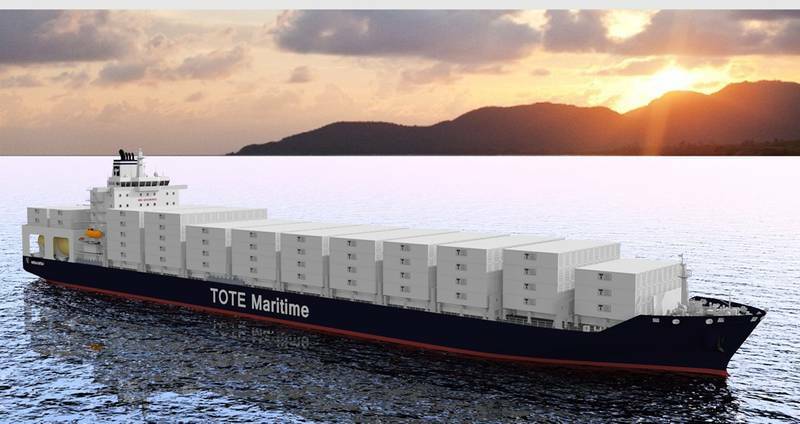 General Dynamics NASSCO finalized a contract with TOTE, Inc., for the design and construction of two 3,100 TEU LNG-powered containerships, setting a new benchmark in green ship technology. When completed the 764-ft.-long containerships are expected to be the largest ships of any type in the world primarily powered by liquefied natural gas (LNG). Construction of the first containership is scheduled to begin in the first quarter of 2014, with delivery to occur by the fourth quarter of 2015; the second ship will be delivered in the first quarter of 2016. 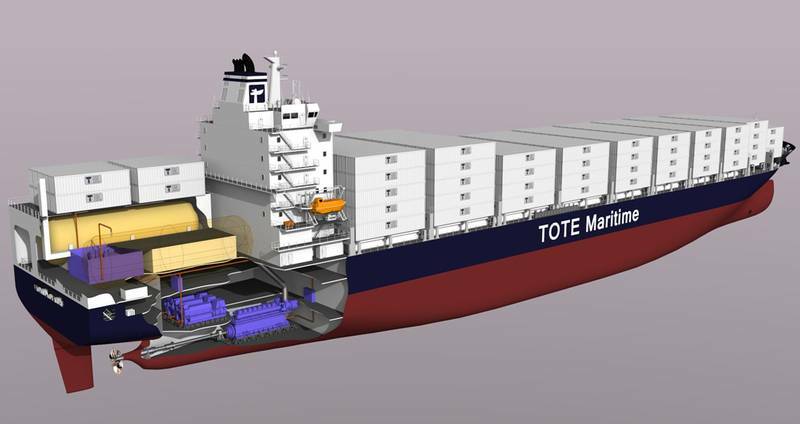 The contract between NASSCO and TOTE Shipholdings, Inc., a subsidiary of TOTE, Inc., includes options for three additional ships. The ships will be designed by DSEC, a subsidiary of Daewoo Shipbuilding & Marine Engineering (DSME), located in Busan, South Korea. The design will be based on proven containership-design standards and will include DSME’s patented LNG fuel-gas system and a MAN ME-GI dual fuel slow speed engine. NASSCO has successfully partnered with DSEC previously for the design and construction of five State-class product tankers which currently operate in the U.S. Jones Act market. All of the containerships will be constructed at the NASSCO shipyard in San Diego. The vessels will operate on either fuel oil or gas derived from LNG, which will significantly decrease emissions while increasing fuel efficiency as compared to conventionally-powered ships. The LNG-powered containerships will also include a ballast water treatment system, making them the greenest ships of their size in the world. The double-hulled ships will operate between Jacksonville, Fla., and San Juan, P.R. Anthony Chiarello, President and CEO of TOTE, Inc. said, “This investment demonstrates our commitment to the people of Puerto Rico and our environment. These vessels mark a new age of shipping using the best technology in the world."